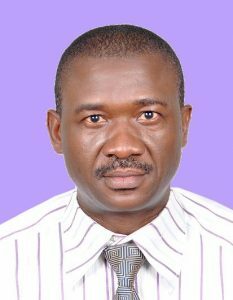 In central Africa, the work of one IITA scientist—Emmanuel Njukwe has received commendation from Industry Insight Monthly—a UK-based organization—and he has subsequently been recognized in its 2017 Farming & Agriculture Awards. The 2017 Farming & Agriculture Awards recognized individuals and institutions working on seed systems. Njukwe leads a team that employs a rigorous propagation technique for cassava and banana, to ensure that smallholder farmers get unlimited access to improved, clean, and healthy planting materials. He is also a key promoter of viable strategies for disseminating improved and healthy cassava and banana planting materials in Central Africa and in the process has helped to control endemic and emerging diseases such as Cassava Mosaic Disease and Cassava Brown Streak Disease for cassava, Banana Xanthomonas Wilt and Banana Bunchy Top Disease for banana. For instance, in 2006 Njukwe co-authored and published a technical manual on banana macropropagation and in 2009 received an award on innovative system for disseminating improved cassava varieties. These efforts prompted the organizers of the Awards to nominate and honor Njukwe. “Your hard work and dedication has been officially recognized and the International Institute of Tropical Agriculture has been crowned: Best in Tropical Agriculture Seed Production – Central Africa & Excellence Award for African Agriculture Development,” the organizers wrote. Speaking on the significance of the award, Njukwe said he is happy that IITA’s efforts are gaining international recognition. He believes that a good crop harvest begins with healthy planting material and IITA as a lead institution in alleviating hunger and poverty in Africa needs adapted and cost-effective approaches to scale out improved planting materials to farmers. “To ensure the dissemination of improved and preferred varieties beyond the initial intervention sites, every contract farmer is expected to return 25% of their planting material for each variety/clone received at the end of a crop cycle. These are then sorted and packaged at the focal sites and distributed to a new wave of farmers. This process ensures a continual and expanding supply of planting material of improved varieties in the region…For banana and plantain, we have bridged the gap between farmers and private suppliers of tissue culture plantlets by establishing and maintaining tissue culture mother gardens from where we obtain healthy suckers for macropropagation,” he said. The awards will be announced on the Farming & Agriculture Awards platform later this year.